The legalization of marijuana in Canada threatens the livelihoods of thousands of people in B.C. 's Kootenay region, where small-scale cannabis operations account for an estimated 15 to 30 per cent of the local economy. "It has changed my life, and it has changed lots of people's lives in this area," said Bonin. Bonin is one of hundreds of cannabis producers who operate in the grey market pot trade in the Kootenays region of southeastern British Columbia, home to about 60,000 people. 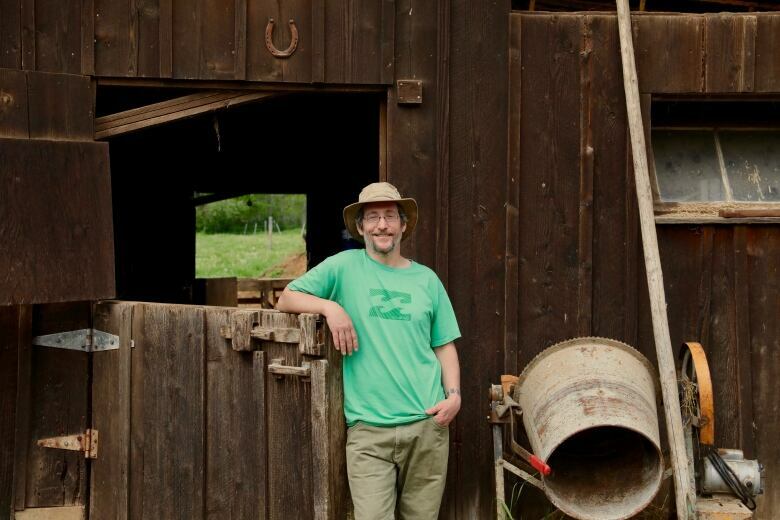 Small farmers have been growing literally tons of the weed here for more than 40 years. It started with back-to-the-landers and American Vietnam draft dodgers growing outdoors on the region's lush mountain slopes, though in the late 1990s, production mostly moved indoors. It's a history that helped give rise to the province's reputation for its famed B.C. bud. 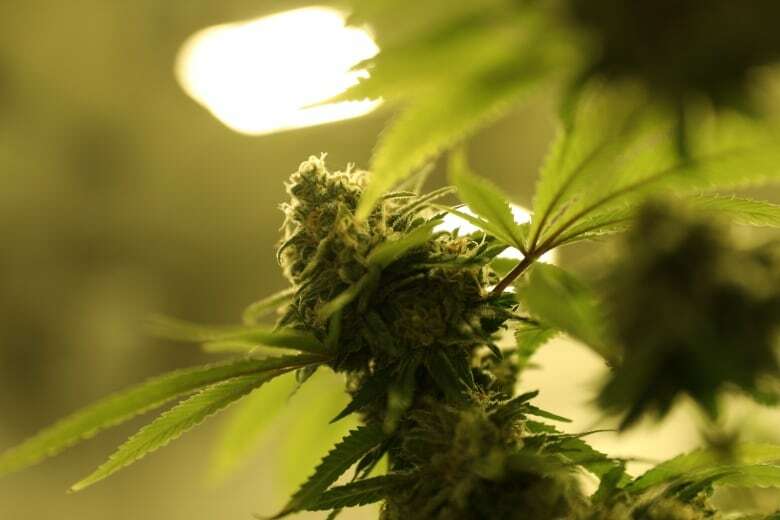 According to Statistics Canada, British Columbia's pot industry was worth $1.1 billion in 2017, though black market sales would likely nudge that valuation higher. Marijuana production has developed into an economic driver in the Kootenays, helping support the region's communities when traditional industries, like the sawmills, closed up. By many estimates, the cannabis business today accounts for anywhere from 15 to 30 per cent of the local economy. Will the grey market be weeded out? Bonin's operation is housed in a 450-square-foot building built on his one-hectare property about 20 minutes outside of Nelson, B.C. About 60 plants grow under nine lights in one room, and there's another room to start baby plants, a lab to extract the CBD and make the tincture, and a small office for bookkeeping. "Everything is taxed. We are not under-the-table cash. We are not trying to hold anything off on anybody," Bonin explained. And now these little guys, who have been operating illegally — and profitably — for years, are facing new competition from the legalized recreational market. When the federal government legalizes recreational marijuana this summer, it's poised to become a multi-billion-dollar industry. But small-scale producers, like Bonin, are worried about being left out unless Ottawa and its provincial counterparts change their approach to so-called micro-cultivation. "We want to be fully legal and fully licensed," said Bonin. But once they get those licences, they just don't know if they can make a living at it under the new rules. For most small growers, the problem is twofold. The proposed federal regulations will only allow for 200 square metres (2,100 square feet) of growing space; most say that number should be doubled for the craft industry to be viable. They also want the ability to sell direct to their customers, whether through farm-gate or website sales. Provincial regulations mean that all weed will funnel through the B.C. Liquor Distribution Board, which will in turn sell it to consumers. And if the growers can't make a living, there's concern that could affect the rest of the Kootenays' economy. Nelson is the hub of the region's weed industry. It's a town of 10,000 people and, as the locals never tire of telling you, some 60-plus restaurants. How does such a small place support so much fine dining? Cannabis. "This is what buoys this town," said local business owner Howie Ross. "People that buy pickup trucks, you know, the car dealers, the realtors, the people who sell rural land, the in-town land," says Ross. "Everybody's benefiting from it. And to deny it is just silly." Ross admittedly has some skin in the game. 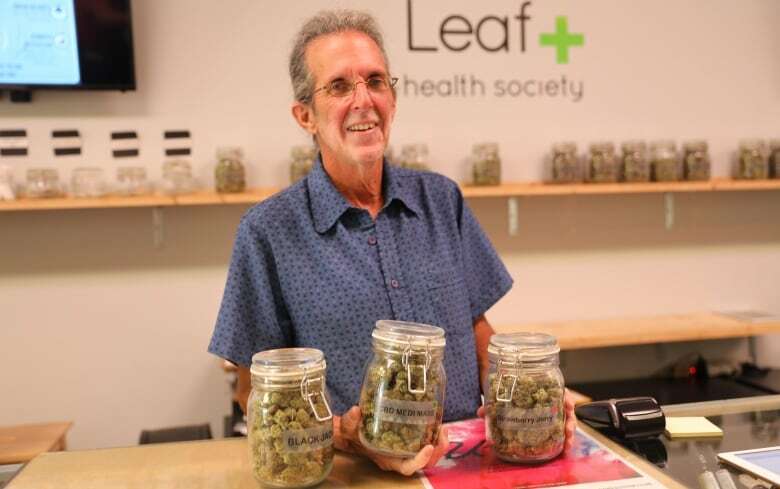 He is a partner in the Leaf Cross Health Society, a cannabis dispensary on Baker Street, Nelson's main drag. "If we lose this, we lose so much industry, so many jobs." Nelson city councillor Valerie Warmington agrees, saying the marijuana industry's importance to the local economy "just can't be overstated." After the Kootenay Forest Products sawmill closed in early 1980s, dealing Nelson a devastating economic blow, Warmington said revenue from the cannabis industry saw the community through the worst of the upheaval. Back then, she estimates the industry represented about 30 per cent of the town's economy, though she believes it's less today. "It's still a very important economic driver here," she said. And so Warmington says there's concern about the future for the region's small growers. "If the production goes to big corporations, then, obviously, all of these people — and all of the skills and time that they've put into developing their craft — will be lost," she said. "So we are really hoping that that doesn't happen." Any potential blow to the local economy will hit David Robinson a lot harder than most. 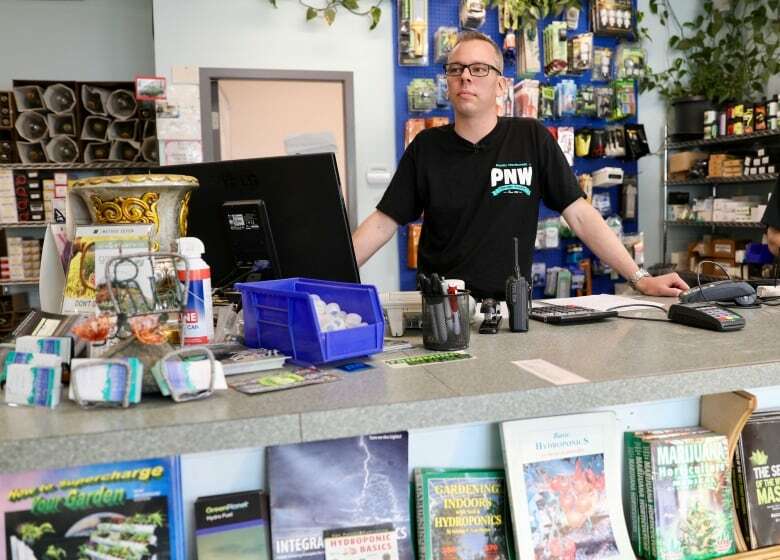 He is the owner of Pacific Northwest Garden Supply in Nelson, which sells hydroponic equipment, lights, fertilizers and everything a small-scale pot farmer needs for an indoor operation. He also sits on the board of the Craft Cannabis Association of BC, a group that lobbies on behalf of the province's micro-producers. "There are very few small communities that are as dependent on the cannabis trade as a place like Nelson," he said. Robinson said he is glad the government is recognizing micro-producers, but he sees large licensed producers (LPs), like Aurora and Canopy, getting a head start — and that doesn't portend well for the region or the region's small growers. "The provinces are signing supply agreements with the LPs. The country is essentially giving the advantage to the big corporations right now," he argued. "If [micro-producers] are not rolled in and rolled in quickly ... eventually we would probably lose that sector." Todd Veri, president of the Kootenay Outdoor Growers Co-op, finds Robinson's assessment a little alarmist. "Black market and grey market cannabis producers have gotten very good at whining," he said. "What they don't want is regulation." Veri sees a path forward for the cannabis industry in the Kootenays but acknowledges it is going to mean following a whole new set of rules — ones that are written in Ottawa and Victoria. Veri's business model involves signing up the region's experienced cannabis farmers to grow small, medium and large plots of outdoor marijuana on behalf of his co-op, which was just launched last year. The crops will be processed at a central facility near Nelson, and then marketed and sold by the co-op — all while strictly adhering to the new regulations. The grower keeps 25 per cent of the overall revenue. "I think it is the model that works best here and sort of mimics what has happened over time," said Veri. Veri wants to start out with a dozen one-hectare farms, but sees the co-op expanding all over the region, taking advantage of the wealth of experience developed in the Kootenays over the past four decades. "If we want to keep the decision-making here, if we want to keep the profits, like they have, stayed over time, we need to fund it and do it ourselves locally." As for Bonin, he's on board with that sentiment but ultimately wants the government to understand where small growers are coming from. "If you tell me I have to cut the plant down and start your seeds, and [my plant] is what is helping my people, I am sorry, I cannot follow your laws. You have to come our way a little bit."